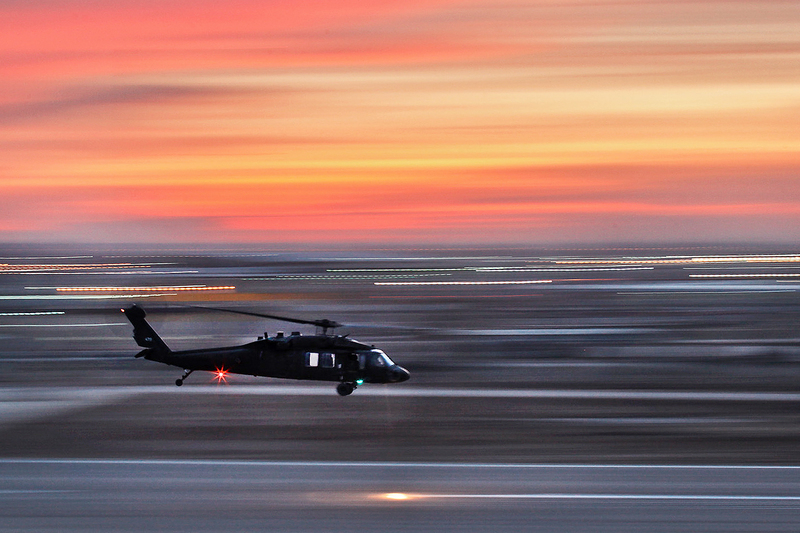 A UH-60 Black Hawk helicopter swiftly departs the flight line during dusk on Camp Taji, Iraq, Jan. 11, 2010. The helicopter is assigned to the 1st Cavalry Division's 1st Air Cavalry Brigade, which conducts aviation operations 24 hours a day, seven days a week, to support U.S. and Iraqi forces. – Ever wonder why so many terrorists have engineering degrees? Isegoria has the answers. – Petraeus has announced that in addition to the eight-land based Patriot missile batteries, two Aegis destroyers are on station ready to intercept outgoing missiles. Too bad about that SBX radar. – ‘Humane bombs‘: an oxymoron no more?